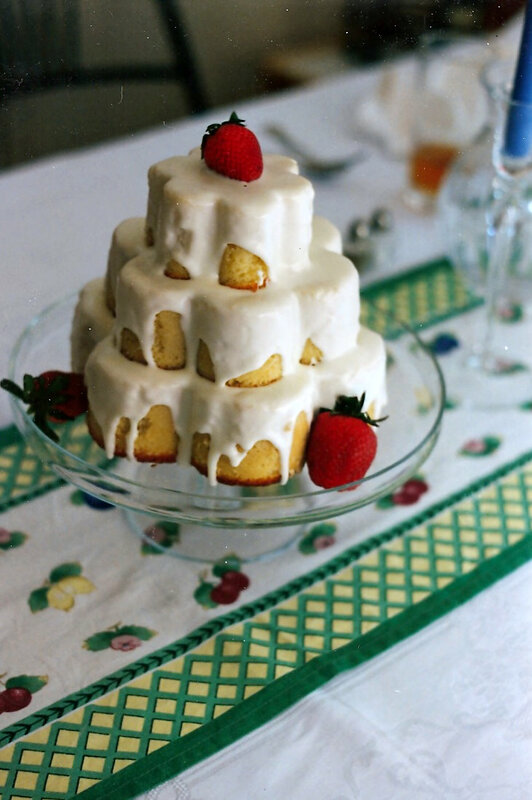 A Martha Stewart recipe for Lemon Pound Cake–a spring-like finish to Easter dinner. 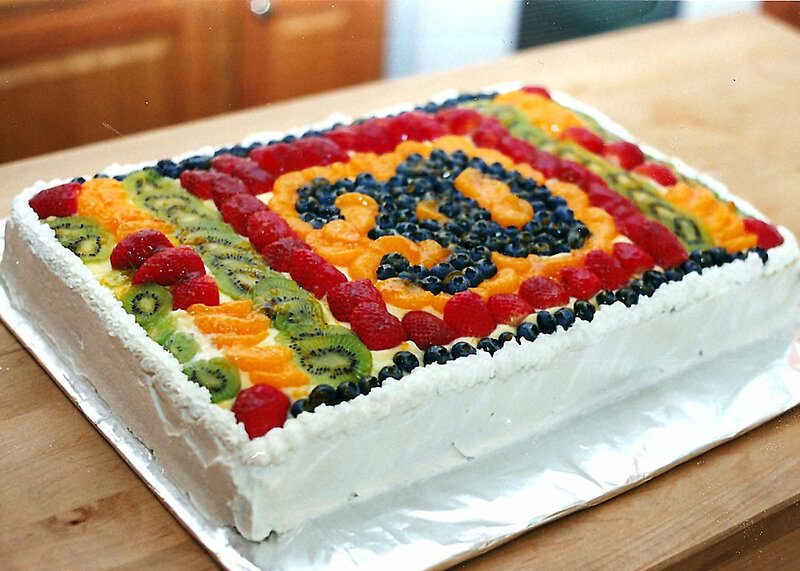 A fun and fresh option for a large sheet cake. This was for a birthday party, but I’ve also made one for an anniversary celebration. Initials would work as well as numbers. Vanilla cake, whipped cream and fresh fruit. 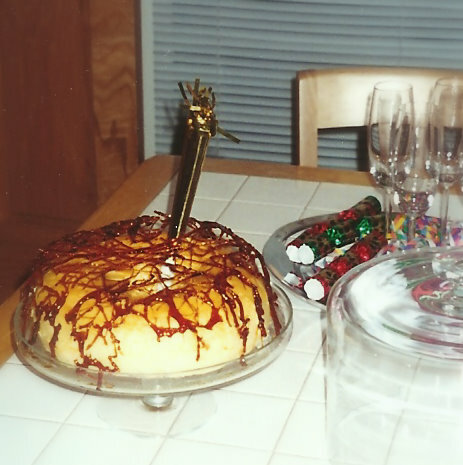 New Year’s Eve: The Golden Cage cake from Rose Levy Berenbaum’s Cake Bible.